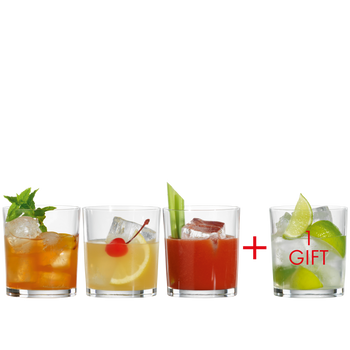 This set contains 6 pieces SPIEGELAU Special Glasses Stamper glasses. The functional machine-made spirit stamper of the plain glass collection Special Glasses just the right choice for events and stylish receptions. This glass enhances the flavors and aromas of spirits with its small sized glass and the narrow rim opening. Specialty Glasses by Nachtmann and Spiegelau include a wide assortment: Black Blind Tasting Glasses, Aperitif glasses, grappa glasses or curved beer glasses - the variety is almost endless. Here you will find the right glass for every occasion. All SPIEGELAU glasses are dishwasher safe.